Yoga has spun into a business where yoga teachers are hosting weekend retreats, private practices, and teacher training events. These events help interested students to learn, enjoy, and understand the philosophy of yoga. But there is another side to the yoga business. The side of the business where students may not be able to afford a regular yoga practice. The side where a person suffering from emotional or physical harm simply needs a way to piece themselves together and find a way to deal with life. For that, my friends, I introduce you to the yoga teachers who are providing free yoga classes to those living in poverty or experiencing trauma. 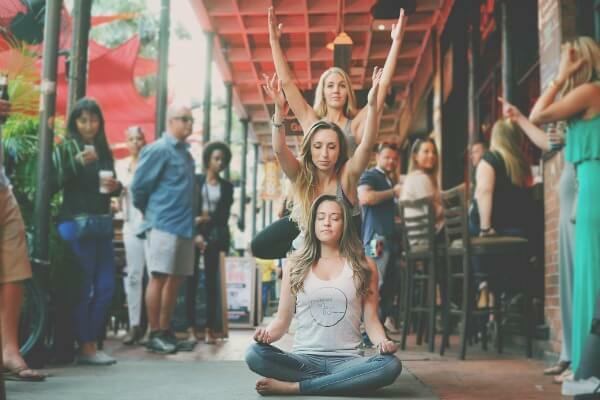 Founded by yoga teacher Kate Berlin, this non-profit based out of St. Petersburg, Florida is raising awareness for domestic violence and supporting those affected by abuse through yoga practice and philosophy. The Purple Dot Yoga Project provides free yoga classes at domestic violence shelters and one-on-one sessions to survivors of domestic violence. Through a network of yoga teachers who volunteer their time, Purple Dot Yoga Project is making a difference in the lives of so many. Though various fundraising yoga events, this project-in-motion connects with the community in order to raise awareness. Through these events, the subject of domestic violence, which is often so difficult to discuss, is addressed. Stories are shared and support is provided by yoga studios, businesses, venues, ambassadors, volunteers, and the community. 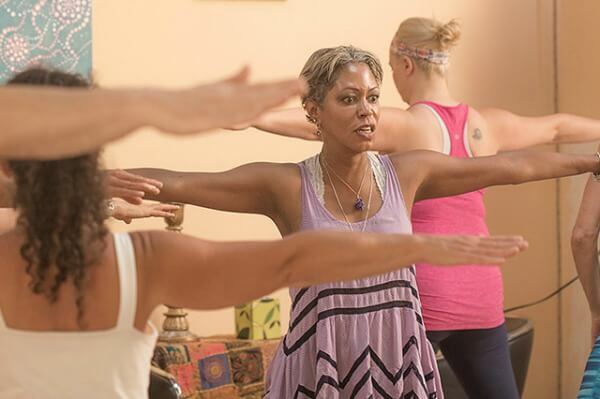 Noticing that there is a lack of yoga studios in neighborhoods of color, Hands to Heart Center leads free, community-based yoga and mindfulness classes to people living in poverty in Boston. Susan Lovett began this Boston-based non-profit in April of 2014, providing yoga classes and workshops in low-income, underserved neighborhoods. Susan is a licensed social worker, K-8 teacher, and a registered yoga teacher, and began offering yoga classes at Frederick Pilot Middle School in Dorchester. As time progressed, Susan started getting requests from other schools to offer more classes. The students were enjoying their new-found yoga practice, and the benefits that yoga provides began to show. As a non-profit organization, Hands to Heart Center succeeds in their mission with help from volunteer yoga teachers. In January of 2012, Yoga Bridge introduced a unique model of yoga asanas and guided relaxation as a means of supporting those in the healing process of a cancer diagnosis. Yoga classes for cancer patients, survivors, and caregivers are small and allow each student to receive attention. These classes are taught by registered yoga teachers, trained specifically by Yoga Bridge to teach yoga for cancer. The class schedule includes Restorative yoga, yoga for strength and flexibility, Chair yoga, Gentle Flow yoga, and meditation. Practicing yoga can help alleviate levels of fatigue, depression, and anxiety. The practice can also help provide better sleep and muscle strength. 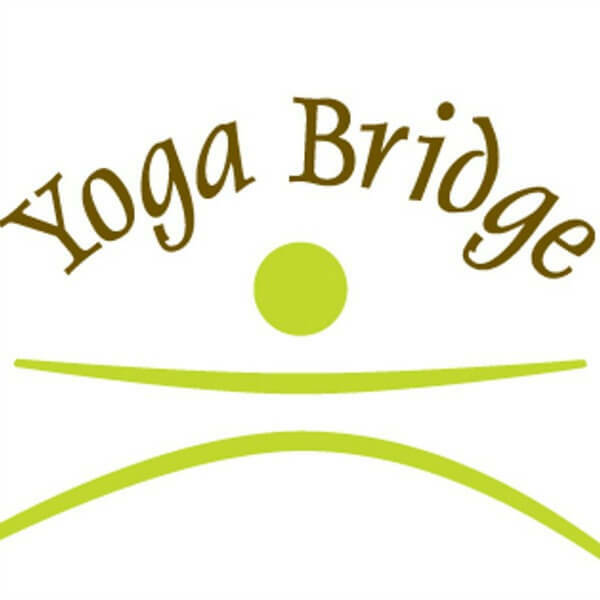 The classes by Yoga Bridge are free to anyone currently in treatment. Cancer survivors and a guest can also enjoy classes for a small fee. Awaken. Transform. Give Back. This is the first statement you will read as part of the Give Back Yoga Foundation mission statement. The non-profit yoga organization believes in making yoga available to those who might not otherwise have the opportunity to experience the transformational benefits of this powerful practice. This organization supports and funds certified teachers in all traditions by way of monetary and mat grants in an effort to offer the teachings of yoga to under-served segments of the community. Give Back Yoga Foundation also offers various programs that help foster positive body image, help at-risk youths and adults live a better life, support veterans' recovery from PTSD, and more. A Yoga Gangster is "one who intentionally utilizes their thoughts, words and actions to empower humanity." Founded by Terri Cooper, this Miami-based non-profit's entire mission is to empower youth. Free yoga classes are offered to kids in crisis and at-risk youths in schools, jails, youth centers, homeless shelters, rehabs, foster centers, and through other non-profits. Yoga Gangsters offers a 3-day Yoga Outreach Certification program in several Florida cities, as well as nationally to yoga teachers interested in volunteering. The yoga classes offered through Yoga Gangsters has touched the lives of more than 3,000 people (mostly youth in crisis), trained more than 700 volunteers, and has raised more than $200,000 through grassroots community events. This non-profit provides holistic health treatments and options for those with special needs, including autism and other developmental disorders. Through its one-of-a-kind OM Holistic Center, this New York-based organization offers various holistic services such as yoga, massage therapy, nutrition advice, counseling, music and art therapy, and Reiki services either free, or at a very low cost. 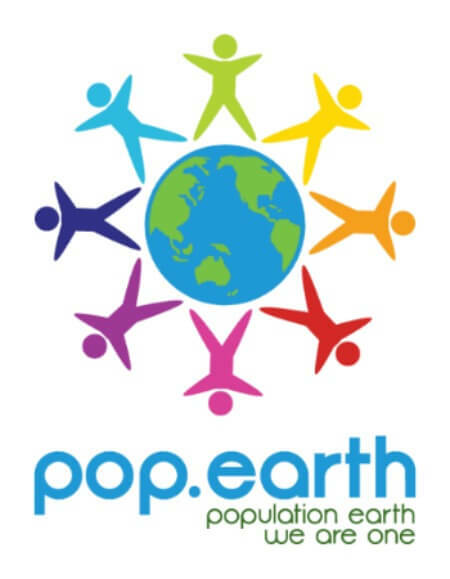 The founder of Pop.Earth, Debbie Stone's, short-term goal is to positively impact the local community, with the long-term goal of being a catalyst for change throughout the United States, as well as other parts of the world. The work that’s being accomplished in the New York center is being used as a template to roll out to similar centers across the United States. The benefits of yoga are truly amazing, and with the help of these and many other non-profit yoga organizations, yoga is reaching those who may not otherwise have the opportunity. Do you know of any other non-profit yoga organizations? Share why they're awesome in the comments below!